Dr. Robert Slosberg, an Atlanta native, received his bachelor of science degree in microbiology at the University of Georgia, and immediately began his dental education, first at Emory University, and then, at the University of Tennessee. Following Dental school, Dr. Slosberg began his post doctoral training at the University of Pennsylvania. He returned to Atlanta in 1990, founding Atlanta Endodontics in 1992. Dr Slosberg was an early adapter and advocate of both operating microscopes, and cone beam computed tomography in Endodontics. His cases have been published in both print and digital media. Dr. Slosberg, a frequent lecturer on Cone Beam Computed Tomography (CBCT), is a recommended speaker from the American Association of Endodontists, one of 5 worldwide; and as such, he is generally regarded as an expert in this field. He is a consultant and thought leader for Carestream, and SS White, and has presented at the annual American Association of Endodontists meeting. 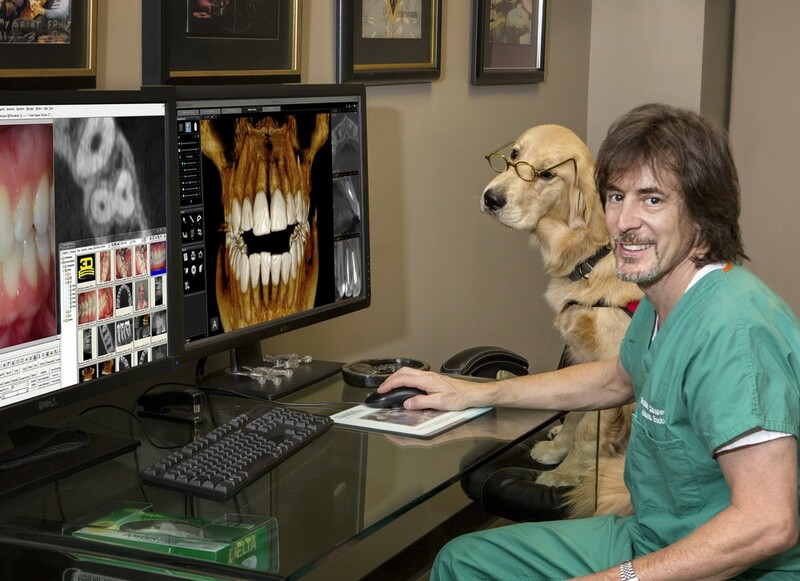 Additionally, Dr. Slosberg was one of two beta testers, worldwide, for Carestream's next generation of CBCT scanners, and was instrumental in modifying the original algorithms for optimal imaging in Endodontics. Dr. Slosberg is a specialist member of the American Association of Endodontists, The Georgia Association of Endodontists, The American Dental Association, The Georgia Dental Association, Northern District Dental Society, and the Southern Endodontic study group. He has also worked with Zoo Atlanta, operating on a Gorilla, and Yerkes Primate center. Dr. Slosberg has even performed a root canal on his beloved Golden Retriever, Madison. Dr. Slosberg is an avid guitar enthusiast and enjoys playing and collecting guitars, he resides in the Atlanta area, and can be seen playing mandolin and guitar with Madam Company in the southeastern United States, and currently has one Golden Retriever, Max. Emory University, 1984-1985, Atlanta, GA.
American Dental Association, Georgia Dental Association, Northern District Dental Society, American Association of Endodontics, Georgia Association of Endodontics, Southern Endodontic Society. CEO, Owner, Atlanta Endodontics, 1992- Present.